Snow, Winter: Snow is beautiful. 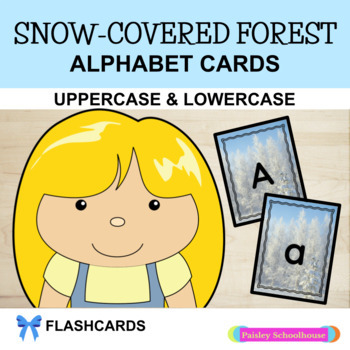 So, your students will enjoy these lovely Snow-Covered Forest alphabet cards. The snow looks so cheerful and refreshing. Students like it when you add as many things as possible to themes. 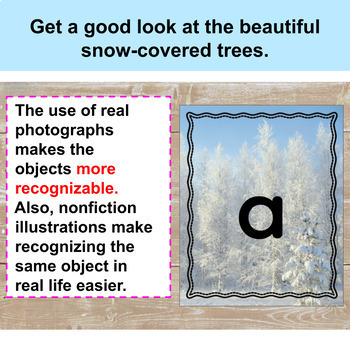 These alphabet cards make an easy no prep addition to fall themes. 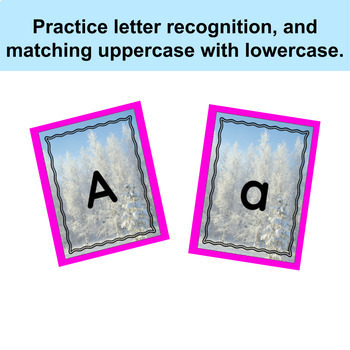 Use these cards to match lowercase letters to uppercase letters. Have students pick out the vowels. Use the cards to practice letter sounds. I love themed alphabet cards and posters. Using them is an easy way to add to class themes. Check out some of my other alphabet and letter cards and posters. Thank You for Purchasing from Planning Success! Follow my store, for freebies and more!